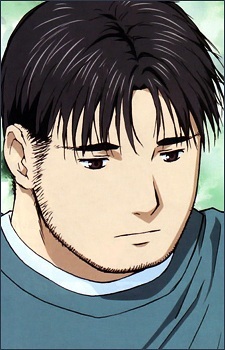 At 27, Koushirou is a great bear of a man with a rarely-shaven beard, who works for a marriage-arranging company. Though he initially comes off as an insular, gruff man verging on unintentional boorishness, it is more accurate to say that he is someone who feels subtle and powerful emotions, but lacks the eloquence to express them. His natural protectiveness of Nanoka wars with his strong attraction to her and his sexual frustration since his breakup, and he is often brusque with her as a result.